Olivia is such a sweet ate to Amelia! 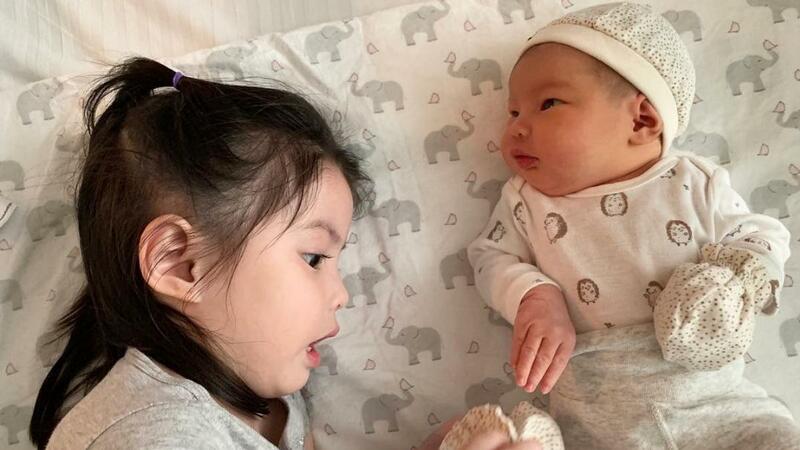 Last weekend, Andi Manzano gave birth to her second daughter, Amelia, and her Ate Olivia has been nothing but sweet and affectionate towards her baby sister. Last night was Olivia’s first time to sleep without either parent by her side as Andi and GP spent the night at the hospital with Amelia. Posting a video of Olivia saying good night, GP said, “What a trooper. Such a good girl this one. (Takes after her mother, yes, I’ll admit.) We’ll be home tomorrow, my love. You’ll always be my first. And you’re already an awesome ate."